Recently renovated for a late 2015 open, we provide our guests with modern facilities including comfortable beds, clean & contemporary bathrooms with complimentary body wash and shampoo, hot showers, A/C rooms all with LED TV's. 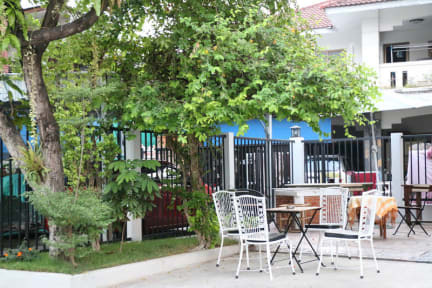 Fast & FREE WiFi, 24 hour security, convenient laundry service all at a reasonable price. We offer 3 single bedrooms and 5 double bedrooms. Couples are welcome to stay in our double bed rooms. Bathrooms and showers are located on each floor. After late 2018, we also offer more new built with private bathroom and shower 2 standard twin room and 6 standard double room. Chiang Mai has so much to offer. From waterfalls, elephant rides, and Tiger Kingdom to shopping at the malls, Sunday Night Market, and nightly bazaar. Chiang Mai offers excitement for the adventure seeker and calmer activities like massages and pedicures for everyone! Talk to one of us at the hotel to set up tours around the city and surrounding areas. 1. Check-in begins at 2 pm. Early and late checks are available upon request. 2. Check-out is at 11 am. 3. Cash only upon arrival. 4. Cancellation policy: At least a 7-day advance notice prior to the arrival date is required. 5. 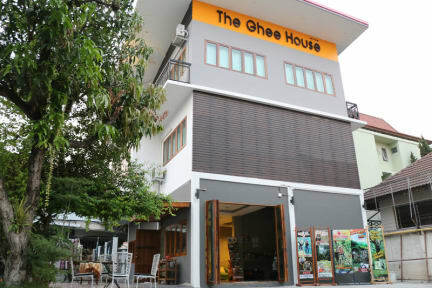 The Ghee House is a drug and alcohol free facility. 6. Our hotel is best suited for persons age 13-65. (1) If you, or someone in your party is outside this suggested age group please notify us upon booking.